If you are experiencing these issues with your iPad Air V2, fill out the form below, book online, call us on 1300 046 363 or pop into our Sunshine Coast store today! If your iPad Air 2 charging port will collect dust and debris over time. If you have charging issues, connectivity problems or even sound issues (the charging port is fused together with the microphone and headphone jack) then the guilty party might be the charging port. 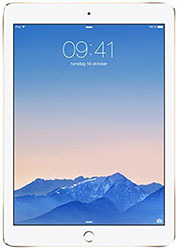 Our technicians are fixing iPad Air 2 charging port problems in 2-3 hours. A clean out will often do the trick but if it is more serious rest assured that we have the necessary parts in stock. Simply give us a call on 1300 046 363, request a quote online, book online, or bring your Apple iPad Air V2 right into our store located at 27 Cornmeal Pde, Maroochydore, Sunshine Coast today.